Recent UC Irvine graduate Charles Jock’s attempt to make the 2012 U.S. Olympic squad ended June 25, when he finished eighth in the 800-meter final at the U.S. Olympic Trials held at Hayward Field in Eugene, Ore.
Jock went out fast and led the field with a 49.86 split at 400 meters, but faded in the final 200 meters to finish with a time of 1:49.02. Jock, a three-time All-American and Big West Conference Track Athlete of the Year, won the NCAA title in the 800 meters with a time of 1:45.59 at Des Moines, Iowa, June 8. 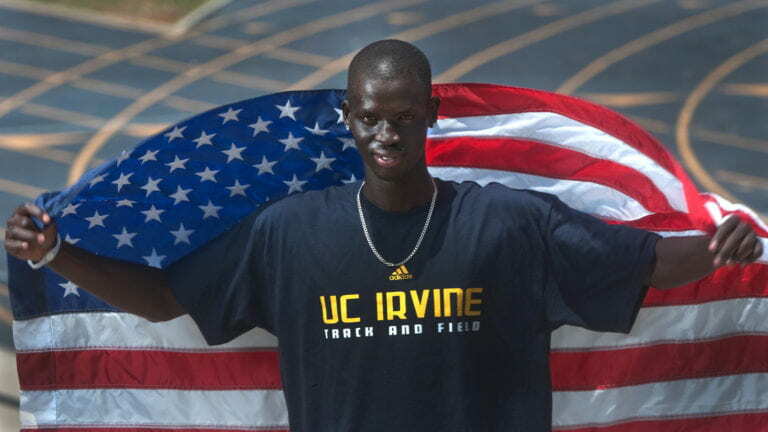 He became UCI’s first individual NCAA champion in 34 years since Steve Scott (1500 meters) and Mauricio Bardales (decathlon) won titles at the 1978 NCAA Division I Track & Field Championships. Last week, Jock was named one of 10 semifinalists for The Bowerman, collegiate track and field’s highest award. Jock, who also won this year’s Big West 800 title, was a member of the U.S. team for the IAAF World Championships last summer after finishing third in the U.S. Trials.